Sold-out venues, enthusiastic responses from the press and audiences. The international rock opera Jesus Christ Superstar – the musical masterpiece by Andrew Lloyd Webber and Tim Rice – is returning to the Netherlands just one more time! This is a unique opportunity to see the 73-year-old Ted Neeley play the role of his life. "Neeley undeniably the centrepiece of the show." "Hard, tough and no mawkishness." "Overwhelming show, tight rock band, whirling dance and exceptional vocals." "This version rocks, looks tight and is incredibly strong vocally!" "Neeley is masterful. 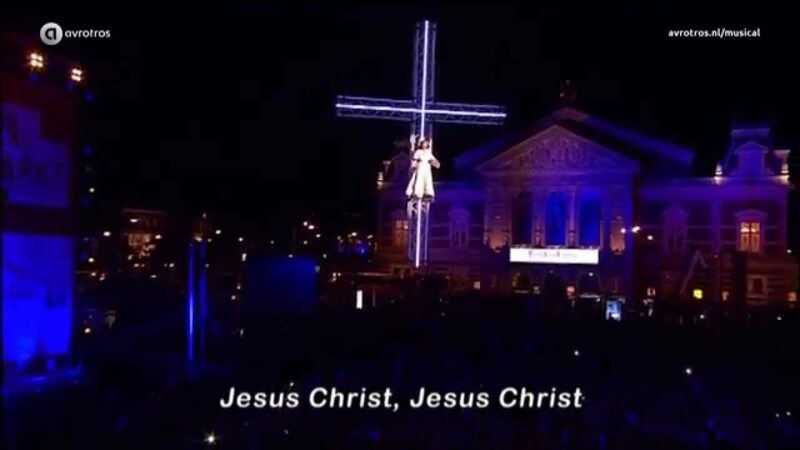 He doesn’t play Jesus, he is Jesus"
A look back at the magnificent live performances by the cast of Jesus Christ Superstar during the 2015 Uitmarkt Sing-a-Long in Amsterdam.